Denver officials cleared a homeless camp near a shelter downtown Tuesday afternoon. 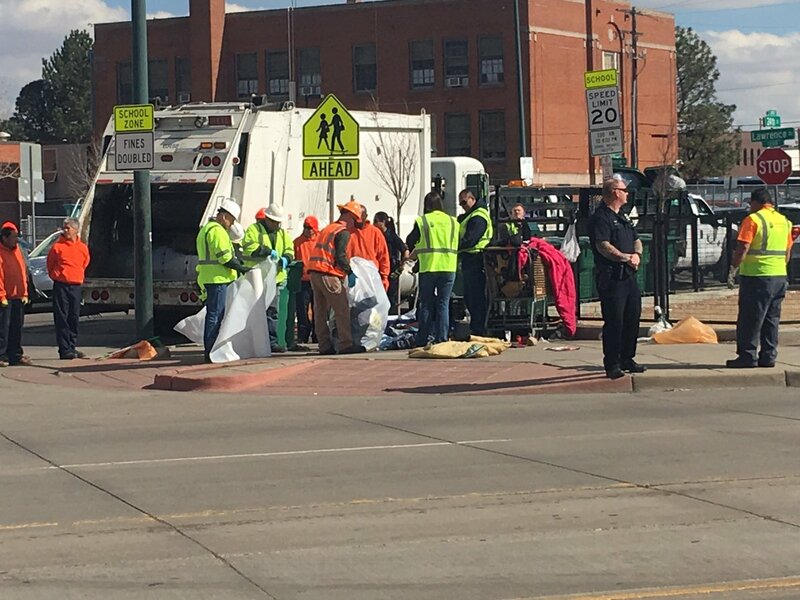 Crews were bagging up and clearing out belongings from homeless people who refused to leave the area, Denver7's Jennifer Kovaleski reported. In the morning, police also removed a group from private property nearby. Protesters began rallying before sunrise Tuesday against the plan to require the homeless to move off public property. 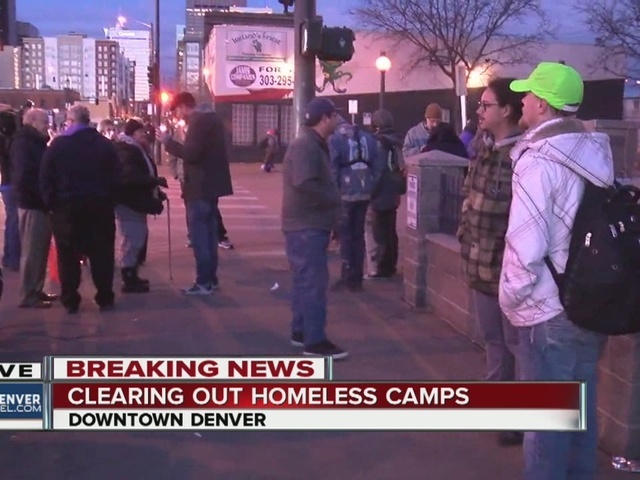 Denver was expected to begin clearing homeless camps on Tuesday. A notice posted Monday morning stated Denver Public Works would begin enforcing a rule that allows the city to remove any items left on the sidewalk or on public property. It's part of the city's ban on "urban camping." City officials say the site has become a public health concern despite their efforts to reach out to the homeless. "We have no other place to go. Homeless is homeless. How would you feel if someone came to your home and said you can't live there anymore?" one woman said. "We understand it's definitely not a fun thing to take people's items. The City had to make a big decision about that," said Alexa Gagner with the Denver Rescue Mission. "It's not going to be an easy situation no matter what." The city said it will first give people a verbal warning. If that isn't followed, it will result in a written citation and then, ultimately, there could be arrests. The items will be taken to a warehouse, where they can be claimed, city officials said.